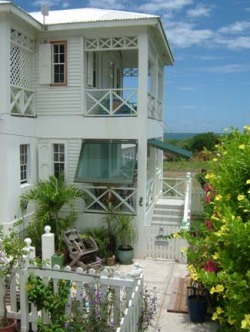 VILLAS AND APARTMENTS TO RENT IN ANTIGUA, THE CARIBBEAN. 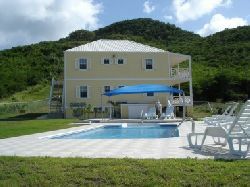 Welcome to our selection of holiday homes to rent in Antigua, the Caribbean. Antigua is just over 100 square miles of tropical paradise located in the Caribbean Leeward Islands and has magnificent sandy beaches in it's many sheletered bays. There is said to be a different beach for every day in the year! The island is largely rolling hills and is low lying with very little forest. Antigua is one of the most stategic islands in the Caribbean and has a wealth of history from it's days as a British naval base in the 1700's. Flights arrive on the island daily from around the world to the V.C Bird International Airport in the islands capital, St. John's and the island is a hub for travel to other islands so it is well served by the airlines. Top of the list of activities on Antigua would be yachting. The Annual Antigua Yacht Show takes place in early December, during which huge numbers of charter yachts converge in the bay where anybody is welcome to board them for closer inspection. Aside from this regular event, Antigua is the yachting centre of the world with many yachts regularly arriving for maintenance, repair and upgrades. Several yacht charter companies are usually in operation on the island at any given time. The list of other activities on Antigua is so long that it might be better to just mention the more unusual ones. These include swimming with rays, zipline canopy tours, deep sea fishing charters, seafaris and combined fishing/hunting excursions. 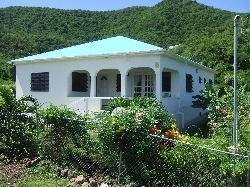 Looking for self catering holiday accommodation in Antigua? 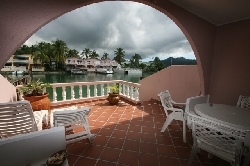 Then below is a selection of apartments in Antigua and villas in Antigua that can be rented direct from their owners. You can either click on each listing for further details or you can use our search engine on the left if you are looking for something in particular.